Exit the A28 Motorway at junction "Carnia". From there all the tourist locations in our network are within a 30 minute drive. The roads are easily negotiable, even in winter. 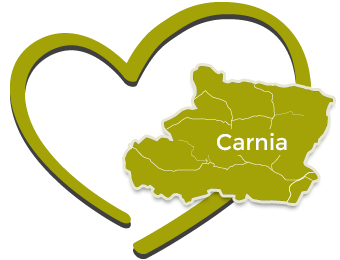 Carnia is easily reachable through the A23 motorway (Udine - Tarvisio). 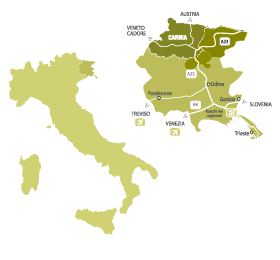 The junction "Carnia - Tolmezzo" is just 33 km away from Udine.